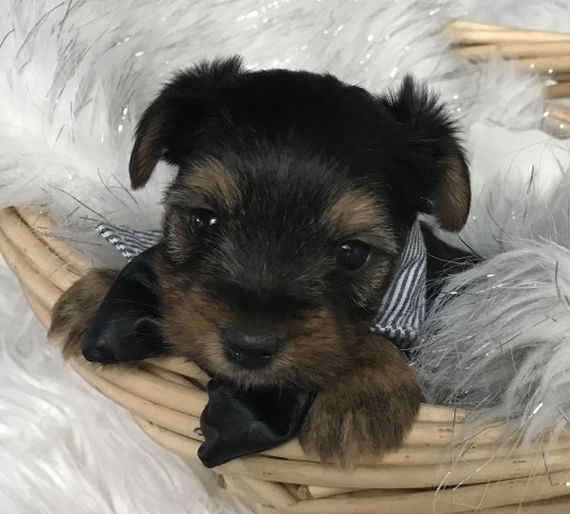 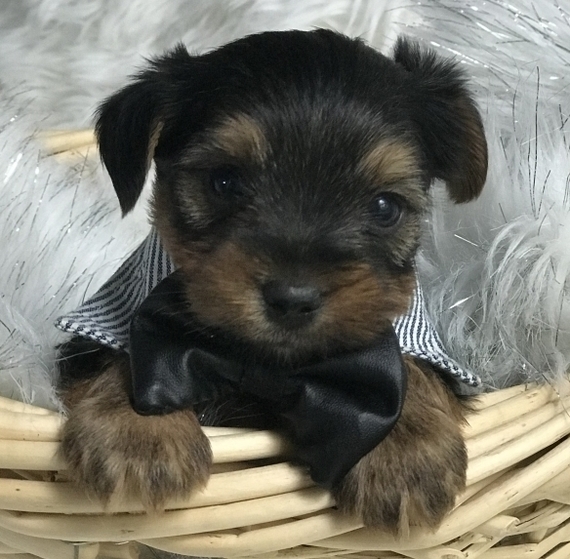 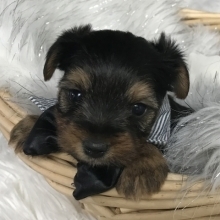 We require Yorkshire Terrier puppies to spend a little extra time with their mommies and littermates till they weigh 2 lbs. or are 12 weeks old (whichever comes first) before they can go to their new fur-ever home. Theodore is the pup you have been searching for. His playful puppy tricks and antics will keep you laughing and smiling for hours. He wants nothing more to love you and be loved by you right back. 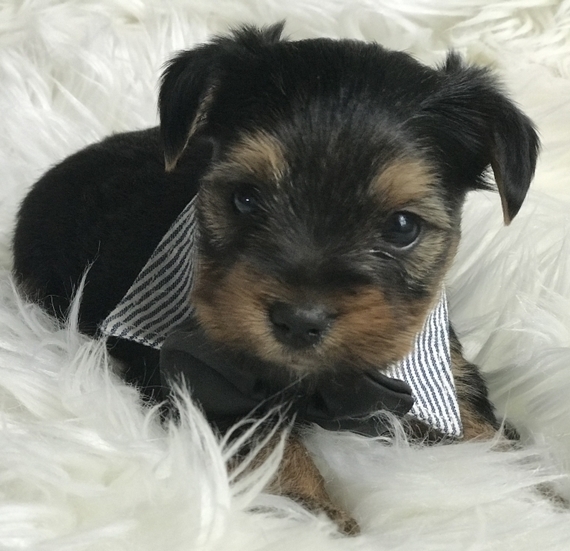 Give him a good ear scratch or belly rub and he'll love you forever! 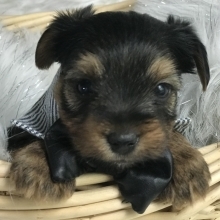 When he arrives to your home, Theodore will have been vet checked and be up to date on his vaccinations.